Nepal visa requirements are fairy simple and easy to understand. Nepal has an excellent visa ON ARRIVAL policy, offering visa ON ARRIVAL for passport holders of most countries in the world. Visa ON ARRIVAL is issued free of cost for nationals of SAARC (South Asian Association for Regional Cooperation) countries including Bangladesh, Bhutan, Maldives, Pakistan and Sri Lanka. As part of the treaty of peace and friendship between India and Nepal, Indian nationals do not need a visa to enter and stay in Nepal. Note: Visa is also REQUIRED for passport holders with refugee status. Passport holders that are neither EXEMPT nor REQUIRED must apply for visa ON ARRIVAL at Tribhuvan International Airport in Kathmandu or any of the following road border crossings. Visa REQUIRED passport holders must apply for Nepal tourist visa at the consulate of Nepal in their country of residence. must enter Nepal within 6 months from the date of issue. For more details, check the Nepal Immigration website or contact your nearest consulate general of Nepal. 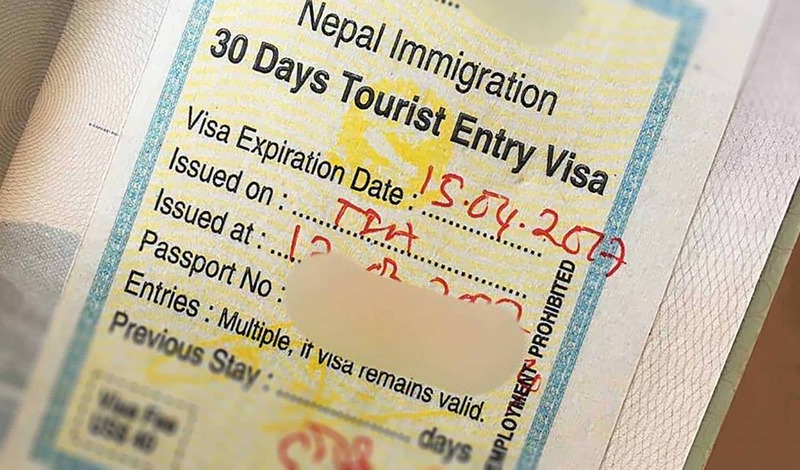 Visa REQUIRED passport holders must apply for Nepal tourist visa at the consulate of Nepal in their country of residence. Check the Nepal Immigration website or contact your nearest consulate general of Nepal for more details. For visa ON ARRIVAL, you need to fill and submit the online tourist visa application prior to arrival. This application is valid for a maximum of 15 days. Therefore, submit this application only within 15 days of your arrival. Take a print of the submission receipt and bring it with you on the day of arrival. If your application has expired or forgotten to fill prior to your arrival, you can still fill it at one of the kiosks in Tribhuvan International Airport in Kathmandu. Documentation required for visa ON ARRIVAL at Tribhuvan International Airport. Since passport holders of India do not need a visa to enter Nepal, they have to go through the same line as the Nepalese in Tribhuvan International Airport. They must fill the arrival card before heading to the immigration. The visa ON ARRIVAL fee is based on the number of days of your stay. Passport holders of SAARC (South Asian Association of Regional Cooperation) countries (except Afghanistan and India) visiting Nepal for the first time in a given year (Jan 01 to Dec 31), a 30 day visa ON ARRIVAL is issued for free of cost. Same fee structure as everyone else applies to visas longer than 30 days. As part of the treaty of peace and friendship between India and Nepal, passport holders of India do not need a visa. Therefore, passport holders of India must go through the same immigration line as Nepalese. For multiple entry visas, there is an additional fee of $20 USD. 90-day visas are multiple entry and they include the additional $20 USD. Visa fee can be paid in USD, GBP, Euro or NPR. 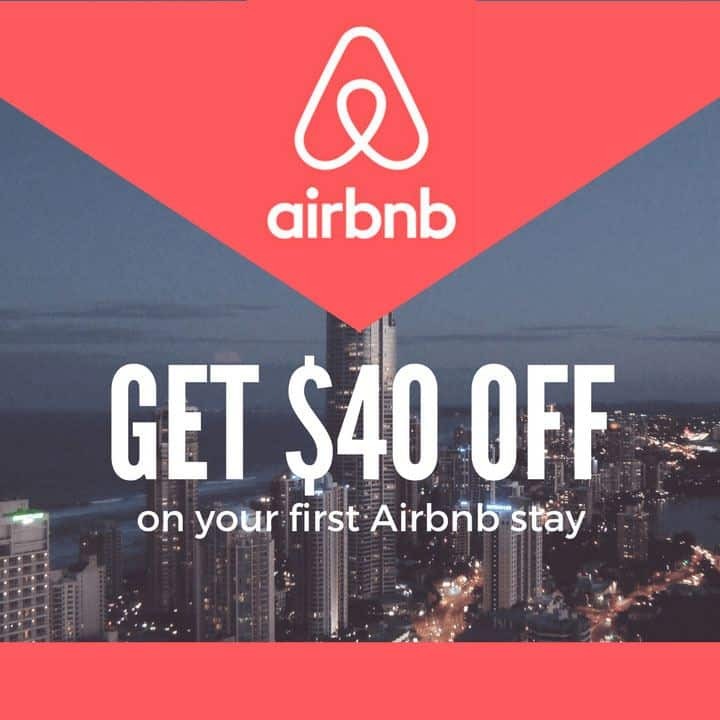 Other currencies are also accepted but guaranteed. It is advised to have some USD handy to avoid any trouble. 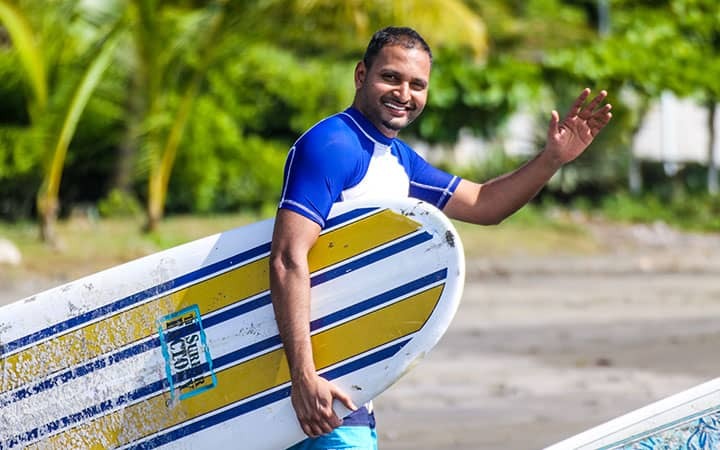 Tourist visas can be extended for a maximum period of 150 days in a given year (Jan 01 – Dec 31). The visa extension fee is $2 USD for each additional day. Filling an online tourist visa application is mandatory for all visa extensions. Fill the online application and print the submission receipt before going to the immigration offices at Kathmandu or Pokhara. The following documentation are required. 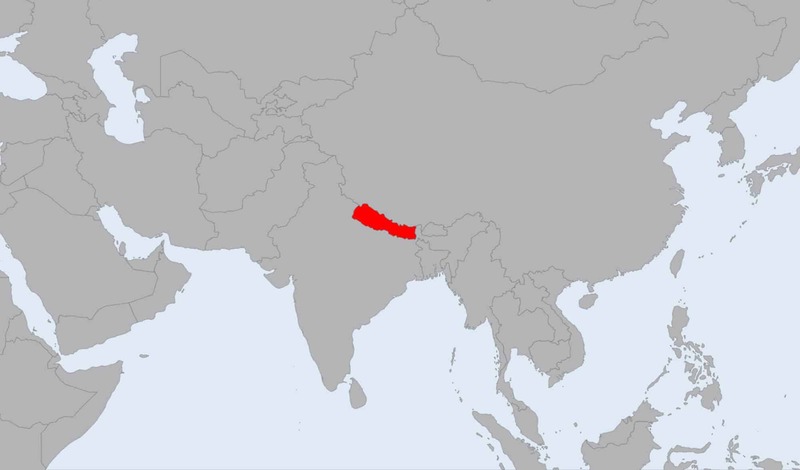 Below 12 countries and any passport holders with refugee status must apply for the visa in person at the consulate of Nepal in their country of residence prior to travel to Nepal. Most airlines do not let you check-in online if you need a visa to travel to the destination country. If you check-in online or at the airport, either way, make sure to arrive at the gate a bit early and see the airline staff. They sometimes have to go through the visa requirements again, verify the documents and put a “Docs Ok” stamp on your boarding pass. If you are applying for visa ON ARRIVAL, fill the tourist visa application online prior to arrival in Nepal. Carry a copy of the submission receipt and a passport photo with you. Prepaid taxis at the Tribhuvan International Airport are a bit expensive. If you prefer to catch a cheaper taxi, exit the airport and walk towards the front of the taxi line. You will see a few taxis at the front that are not prepaid and you can negotiate the fare. You can get a taxi to Thamel for 500 NPR. You will have to go through passport control on exit. You will also need to fill a departure card for foreigners. This card is same for all including Indian nationals. You might be asked how long were you in Nepal and what was your purpose. Exit formalities take about 10-15 minutes at Tribhuvan International Airport in Kathmandu. You may have to go through immigration and customs on your return at your home country or the country you are flying back to. If you are flying back on an Airbus A330/A340/A380 or Boeing 747/777, expect long lines at the immigration and customs. 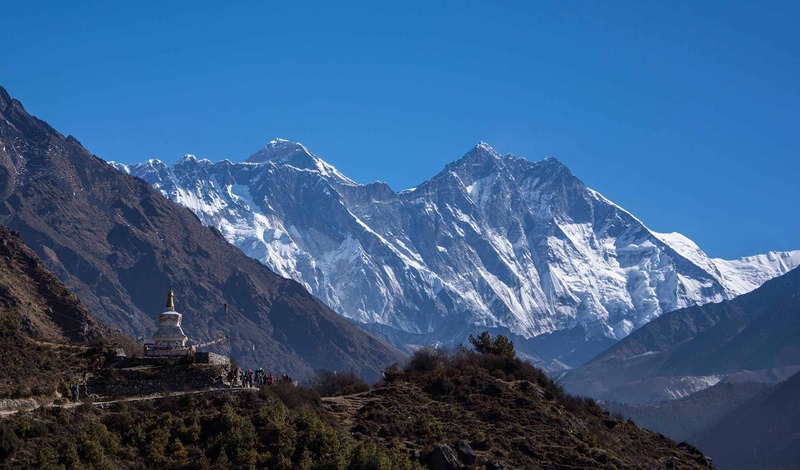 Nepal visa requirements are fairly simple. Nepal has an excellent visa on arrival policy, offering visa on arrival for most nationalities in the world. Visa on arrival is issued at free of cost for citizens of SAARC countries (except Afghanistan). Indian citizens do not need a visa to enter and stay in Nepal.